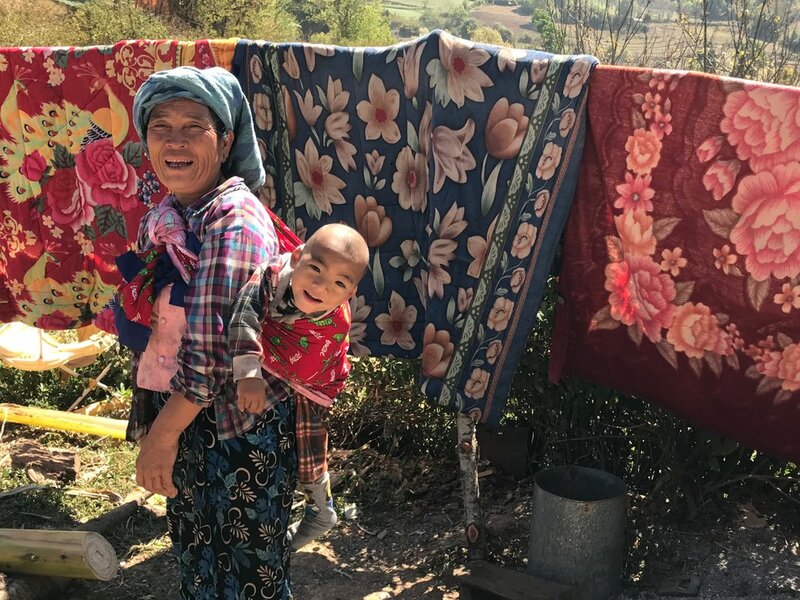 Entrepreneurs in Myanmar increasingly take a commercial approach to charity through small social enterprises that sidestep NGO and government bureaucracy and ensure that help reaches those in need directly. Throughout my journey on Semester At Sea thus far, my experience at Green Hill Valley elephant conservation center was where I interacted and learned the most about sustainability and especially sustainable tourism. Green Hill Valley was started by a man and his uncle and will remain a family run camp throughout time. They had a passion for elephants, an opportunity after logging was banned, knowledge and prior experience, and a dream to create a better life for abused elephants. The elephants they house and help were bought from logging companies or are leased from the government. Previously, the logging industry was abusing elephants for the use as lumber haulers. The average body weight of an elephant is 3-4 tons and can safely transport 200 tons of lumber. The government’s law said that they could carry up to 800 tons and then loggers would push them beyond those limits. They would carry loads there bodies weren’t supposed to support all day when an elephant needs to eat 250kg of food which usually takes 18 hours and they should sleep for 2-3 hours a day. This lead to severe physical deterioration, most elephants should live into 70’s but can live into 80’s but in logging industry died in 40’s and 50’s. Myanmar saw the loss of 20% of its prime forests. Fortunately the government banned logging because of these injustices, but now the concern was what to do with elephants that couldn’t be reintroduced to nature. With this opportunity, Green Hill Valley set up the conservation park to set up elephant care programs to nurse the elephants back to health as well as reintroduce them to more natural behaviors. In addition to helping elephants, they engage in social sustainability by emphasizing education about elephants and conservation. In addition to educating guests and travelers, they alsohost educational opportunities for local villages. Some examples of environmental sustainability are they obtain water from a natural aquifer, use solar power to generate electricity, and recycle dung to make paper and crafts. Have a garden with, chickens, goats, and geese to supply food for some of the workers. Use Bamboo stock to feed elephants, most of which would go to waste. Supply hydroelectric power for communities down stream and use of sustainable building materials. Reforestation is one of their guiding principles and they obtain this with their forest recovery program. Each visitor is invited to plant one regional tree from GHV’s nursery. The idea is not only to encourage forest recovery, but also to educate the local community about the importance of reforestation and the risks posed by haphazard deforestation. The conservation camp honestly puts elephants in the forefront of their business model and profit margins second. The purpose is not gaining tons of money but to give elephants a better life. All of the money used to run the program is donation based out tourism. GHV actually has to turn away travelers and control how many people come to give everyone an authentic experience. Myanmar has been nothing but beautiful and harmonious. Before coming to this place, I was spoon-fed rubbish about the country. Yes, just like most nations, they have experienced some form of revolt and hardships, although, after seeing the country in my own eyes, I can now say I will not judge a country or listen to outside influence until I experience it for myself. I spent most of my time in Yangon and Bagan. During my time, I had the fortune to tour with my friend’s father and three (3) of his business associates. The five of us hada tour guide who was a local woman who spoke fluent English and a personal driver. Throughout my time, I had the opportunity to see every last thing possible in Yangon and Bagan. We must have driven to over 15 pagodas and other cultural site as well as having delicious meals. One of my father business associates was Michael Tan, who was coincidentally a social entrepreneur. He runs his own social enterprise, and is my hero. He empowes and provides benefits to those who had not had this in the past. He is involved in providing the women from Myanmar the opportunity to receive work benefits when travelling to foreign countries (such as Qatar) while they are getting jobs to provide income for their families. Typicallymiddlementake almost 8 months wages from these workers as payment for the work visas. These workers, usually women, have poor health and housing conditions which is exacerbated to the language barrier. Michaelprovides these women the best opportunity to succeed and diverts funds back to their families in need. He takes substantially les for the visas and ensures that the women are given proper housing and contracts which he helps to negotiate on their behalf. Myanmar was a real eye-opener for me, and impacted my life in ways I cannot describe. It is beautiful all around with respectful, helpful, and polite people. A destination everyone needs to experience at least once in his/her life.